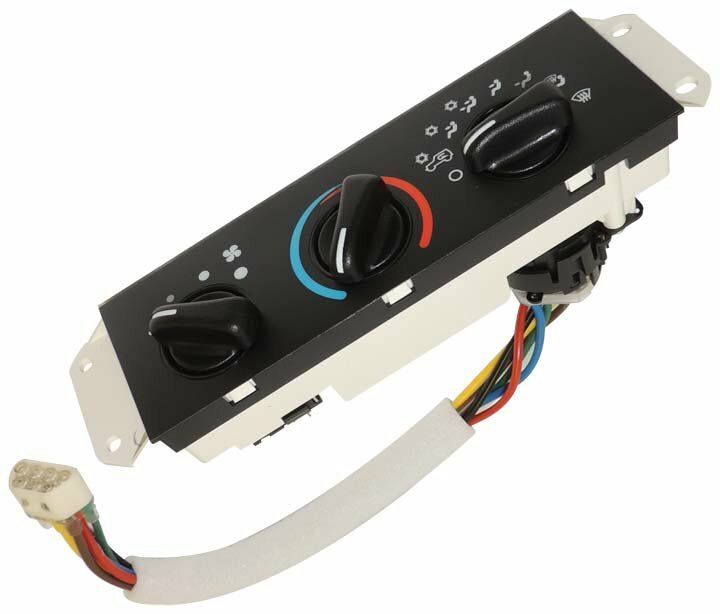 With a new Air Conditioning & Heater Control Unit from Crown Automotive you can coast through the seasons in your Jeep Wrangler TJ in proper comfort. Easy to install, with factory plug terminal and vacuum harness supplied, simply remove your old unit and plug this in. Get full control of your fan speeds and temperature settings just like the factory intended. Easy to install once you watch a video on utube. Finally get to use defroster when cold weather hits. Works great and price was great compared to dealer. Will this work on a 2006? It says 99-01 but looks just alike mine. I need to replace my control unit, this seems to be the only one, I don't have air conditioning in my Jeep, will this still fit and work? No, this is for Jeeps with factory AC only.